All claim information must be submitted to the Program Administrator within 90 days of the termination date of the Vehicle Service Contract. 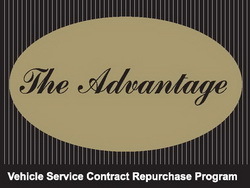 The customer completes a Vehicle Service Contract (VSC) Purchase Price Refund Application and submits it, along with all required documents, to the Program Administrator by mail or fax. The “Required Documents” with descriptions are listed on the Claim Request Form. Due to privacy laws, it is the customer’s responsibility to furnish the required documentation even though another party may be assisting them. If faxed, the copies must be legible when received, otherwise claims processing will be delayed until legible documents are received. Refund claim forms may be printed from our website. If you would prefer, we would be glad to provide a copy of the form via fax, mail or email. Click HERE to view or print VSC Refund Request Application & Required Documents. Once the claim request and all required documents are received by the Program Administrator, the claim will be processed. Note: Request for benefits cannot be processed until ALL information is received. The process may take up to 30 days from the date of submission, depending on the amount of time it takes to access the records from the service contract provider.